Mortimer Shuman was born on 12 November 1938 in Brighton Beach (Brooklyn by the Sea, as he called it in his 1973 song of that name). 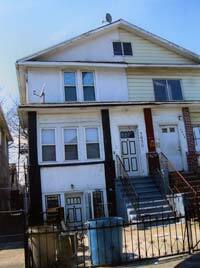 His parents, Louis and Esther, were immigrant Polish Jews. He lived in the same apartment block as Neil Sedaka and both of them learnt classical piano at the Juillard School of Music. At 15 Mort went to the New York City College to study philosophy but after a year he was expelled for spending too much time playing piano in bars. Mort loved R&B and Latin - a favourite song was ‘Please Don’t Leave Me’ by Fats Domino (1953). 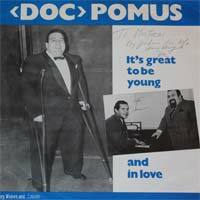 Mort was introduced to Doc Pomus by Doc’s cousin, Neysha. Although 15 years older, Doc befriended Mort and took him on as an apprentice. Mort would sit with Doc absorbing everything. To begin with Doc would only give Mort 15% of the publishing but soon they wrote together as partners with Doc mostly writing the lyrics and Mort the melodies. Mort usually also sang on their demos. Their first release together was THE TIBBS BROTHERS recording of ‘(Wake Up) Miss Rip Van Winkle’ on Atco in 1956. Their first record to make the US pop charts was ‘Love Roller Coaster’ by BIG JOE TURNER also on Atco. In November 1957 a friend of Doc’s set up a record company called R&B Recording Corporation at 1650 Broadway. Doc and Mort were employed to write for their acts. This venture lasted for only one release ‘Kiss and Make Up’ by THE CROWNS whose lead singer was BEN E KING but when George Treadwell, the Drifters manager, fired the Drifters en masse, Treadwell hired the members of the Crowns to become the Drifters. Their friend, Otis Blackwell, the successful writer of ‘Don’t Be Cruel’ and ‘All Shook Up’, then introduced Doc and Mort to the Aberbachs who owned Hill and Range and who signed them to a three year songwriting deal. 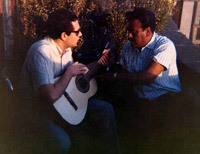 Although Mort was writing Rock’n’Roll and R&B he loved Latin Music and Jazz just as much. He was a regular at The Palladium, a Latin/American ballroom on West 53rd Street and Broadway where he would hear the likes of TITO PUENTE and MACHITA or he would hang out at The Mambo with such great Jazz musicians as HORACE SILVER, ART TAYLOR and JOHNNY GRIFFIN. Having enjoyed success with a number of Atlantic acts including RAY CHARLES, BOBBY DARIN, LaVERN BAKER and CLYDE McPHATER. Mort and Doc’s big breakthrough came when Hill and Range directed them to write for ELVIS. Their first attempt ‘I’m A Man’, was rejected by Elvis but along with ‘Turn Me Loose’ , it was recorded by FABIAN and both became US hits peaking at 31 and 9. Mort and Doc had been asked to write for a new group called THE MYSTICS and they came up with ‘Teenager In Love’ (originally written as ‘It’s Great To Be Young And In Love’). 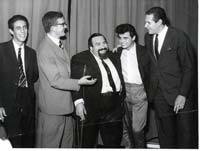 On hearing the song, the label thought it was too strong for a new band and gave it to DION & THE BELMONTS who had already had some success. Dion reached a top 5 US hit with his version, but MARTY WILDE beat him in the Uk going to No. 2. Mort and Doc gave THE MYSTICS their first top 20 US hit with ‘Hushabye’. Mort and Doc sent to LA to write for Snuffy Garrett by their publishers and Mort often goes down to Mexico. At the end of 1959, Jack Good persuaded Mort and Doc to travel to the UK for a special edition of the ITV show ‘Boy Meets Girl’ on 21 November. The show was devoted to their songs with Mort performing ‘I’m A Man’ to rapturous applause. After the show Jack Good recorded Mort singing ‘I’m A Man’ and ‘Turn Me Loose’ at Decca Studios. Mort also put down a quick piano and voice demo of a song he and Doc had written back in the States called ‘A Mess of Blues’. Mort and Doc stayed for several months revelling in their fame and admiration and meeting most of the British stars of the days – Tommy Steele, Lionel Bart and Anthony Newley. 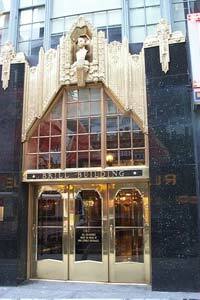 When Mort and Doc finally got back to the States, Hill & Range had moved to very smart offices at 1619 Broadway (The Brill Building) and Jean Aberbach proudly gave to his top songwriters a very spacious and luxurious office but after a few weeks of inactivity they asked for a place where they could really work. Their new office was tiny with 2 old chairs, an upright piano and an ashtray! Mort and Doc finished the 50’s with 3 big US hits ‘(If You Cry) True Love, True Love’ with the DRIFTERS (US pop 33, R&B 5), ‘Hound Dog Man’ with FABIAN (US 9) and ‘Go Johnny Go’ with JIMMY CLANTON (US 5).